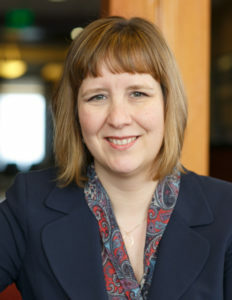 Pierce County is filled with attorneys who help needy clients without any expectation of pay; who teach classes on legal principles just for the satisfaction of helping others understand the legal system; who help children navigate the confusing and terrifying world of the courts solely because they care about children. The Community Service Awards was created for two reasons: First, to say thank you to those attorneys who are using their legal skills in their personal time to help make Pierce County better. These attorneys are helping our community grow stronger. Through their efforts, our citizens are better understanding the legal system and better able to assert their rights. The second goal of the awards is to spread the word of what our colleagues are doing with their pro bono and community service efforts. Perhaps these attorneys’ actions will inspire others. The committee solicits nominations from bar members and present them to the President for evaluation and discussion. The President makes the final choices with input from the committee. Award designated for a TPCBA member who, through his or her legal work, changes lives for the better in our community. Service: For years of dedication and service in changing lives for the better in our community and beyond. Award designated for a TPCBA member(s) who provides outstanding service to furthering the goals of the legal profession and promoting the ideal of professionalism. Service: For exemplary service furthering the goals of the legal profession and promoting the ideals of professionalism. 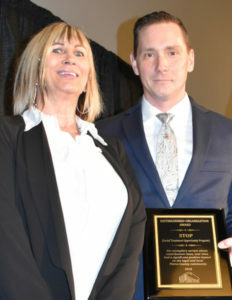 Award designated for a TPCBA member who volunteers his or her time, either in a legal or non-legal capacity, to improve the circumstances of others. Service: For exemplary service as a TPCBA member who volunteers time in both the legal and non-legal community to improve the circumstances of others. 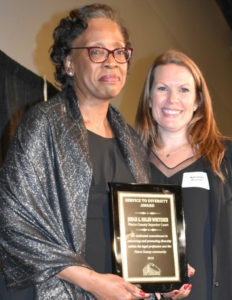 Award designated for a TPCBA member who works tirelessly to promote and encourage diversity within the legal profession, in the community or among their peers. Service: For dedicated commitment to enhancing and promoting diversity within the legal profession and the Pierce County community. 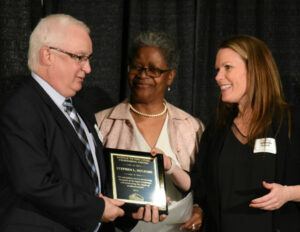 Award designated for an exemplary jurist who has significantly served or improved the community, whether through his or her work, or through his or her volunteerism. Recipient: Commissioner Meagan M. Foley, Ret. Service: For years of dedication to improving the Pierce County legal community through education and community service. Award designated for a group or association, not primarily lawyers, whose contributions have, over time, had a significant favorable impact on some aspect of the legal system. Service: For exemplary service whose contributions have, over time, had a significant positive impact on the legal and local Pierce County community. 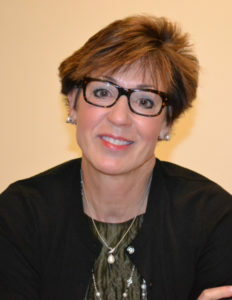 Award designated for a volunteer who has provided outstanding service to our bar association. 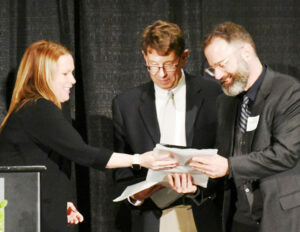 Service: For exemplary service to the Tacoma-Pierce County Bar Association. 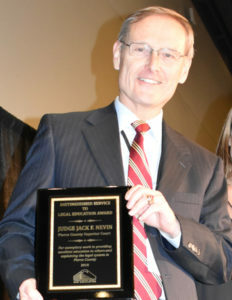 Award designated for an attorney or educator who has provided excellent education to others – whether the public, or students, or another group, in explaining the legal system. Service: For exemplary work in providing excellent education to others and explaining the legal system in Pierce County.